Glaucoma is a type of permanent vision loss caused by increased eye pressure that damages the optic nerve. 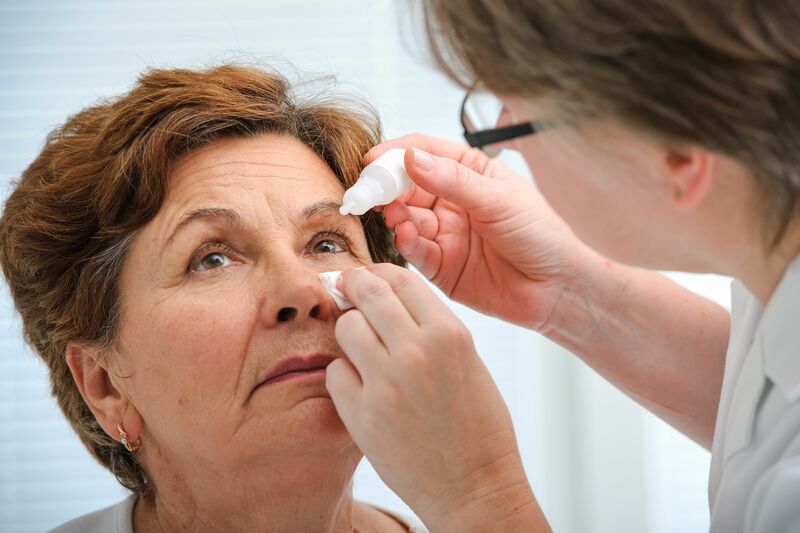 The condition is generally incurable, but proper treatment and management can prevent or slow down further vision loss once the condition is diagnosed. There are many kinds of glaucoma, and the type of glaucoma that's diagnosed will determine the ideal method of treatment. The eye care specialists at our Shelby Township, MI vision center would like to go over some of the different types of glaucoma so you can better understand the nature of this dangerous condition. Open-angle glaucoma is the most common type of glaucoma. It accounts for approximately 90 percent of all cases of glaucoma that are diagnosed. "Open-angle" means that the angle in which the iris and cornea meet is wide as it should be, yet there is increased ocular pressure due to slow clogging of the drainage canals of the eye. Open-angle glaucoma is also known as primary glaucoma and chronic glaucoma. Since it develops over a long period of time, symptoms can be difficult to notice. In angle-closure glaucoma, blockage of the drainage canals causes a sudden increase in intraocular pressure. There is a narrow rather than wide angle between the cornea and iris. This type of glaucoma develops quickly rather than slowly over the course of someone's life. If detected, angle-closure glaucoma needs to be addressed as soon as possible to preserve vision. Angle-closure glaucoma is also known as acute glaucoma and narrow-angle glaucoma. Normal-tension glaucoma refers to a form of glaucoma that damages the optic nerve even though the pressure within the eye is not very high. The exact cause and nature of this type of glaucoma remains a mystery, though some speculate that poor blood flow to the optic nerve may contribute to the condition. Up to one-third of open-angle glaucoma cases may be also be classified as normal-tension glaucoma. This type of glaucoma is also known as low-tension glaucoma and normal-pressure glaucoma. Congenital glaucoma is a very rare form of glaucoma that is present from birth. The condition is related to poor development of the drainage canals of the eyes during fetal development. The poor development of the drainage canals may also be the result of another health condition that develops during prenatal development. Congenital glaucoma is estimated to occur in only 1 in 10,000 babies born in the United States. Congenital or childhood glaucoma should be treated as soon as it's detected. Eye surgeries to improve drainage of the eyes combined with long-term monitoring of the development of the eyes can prevent severe vision loss both immediately and later in the child's life. Traumatic Glaucoma – This refers to cases in which eye injuries that increase intraocular pressure. Pigmentary Glaucoma – This refers to cases in which granules of pigment from the iris break and block the drainage canals. Exfoliative Glaucoma – This refers to cases in which flaky portions of the lens of the eye break off and clog the drainage canals. Uveitic Glaucoma – This refers to inflammation/infection of the uvea (the middle later of the eye) causing an increase in eye pressure. To learn more about managing glaucoma and preventing vision loss, we encourage you to contact our team of eye care specialists. We look forward to your visit and discussing your situation in greater detail.